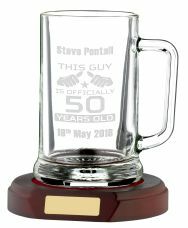 H793B Glass Tankard. Wooden Base not included. 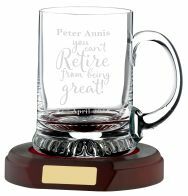 If you would like to email your engraving details separately then please enter in the engraving box "details to follow" and email the information to sales@trophyman.co.uk quoting your name.